JTB Steel for AutoCAD is an Add-in running inside AutoCAD, adding powerful command features to help you draw simple and complex steelwork frames and details efficiently. 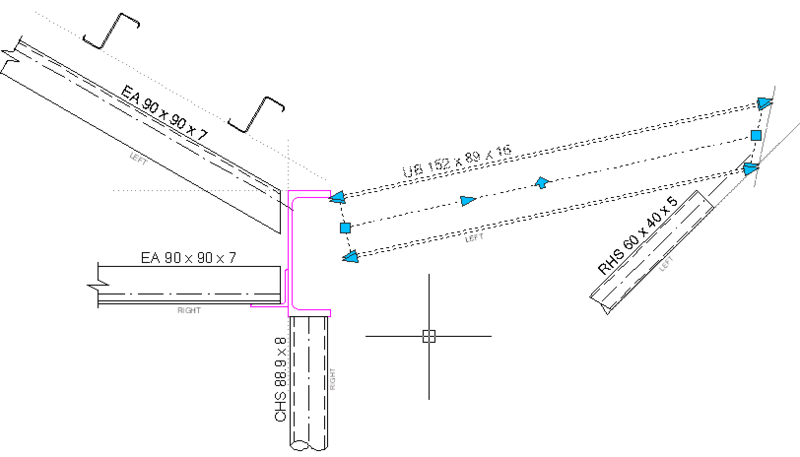 You can select and insert Steel Sections from JTB Steel library to AutoCAD® drawing just as inserting blocks. You can draw Steel Frames just as drawing lines by 2 pickpoints. All created drawing objects are either blocks or dynamic blocks. Once Steel members are inserted, you can edit these using powerful editing commands located on Tools Palette. JTB Steel on the AutoCAD Plug-ins menu. Read more about JTB Steel on the product page and download the trial. AutoCAD 2016 released, what’s new?